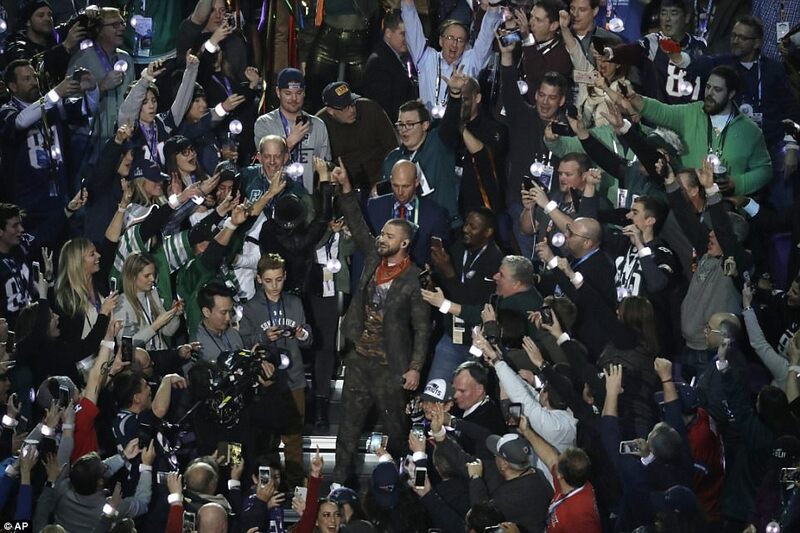 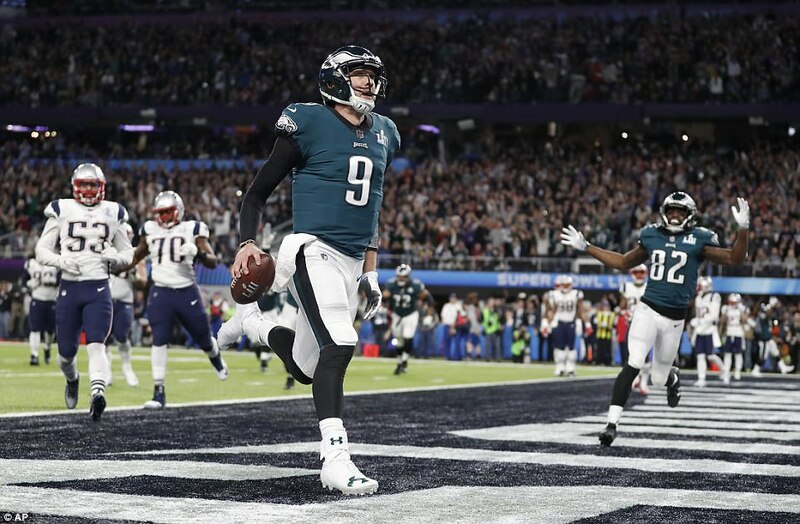 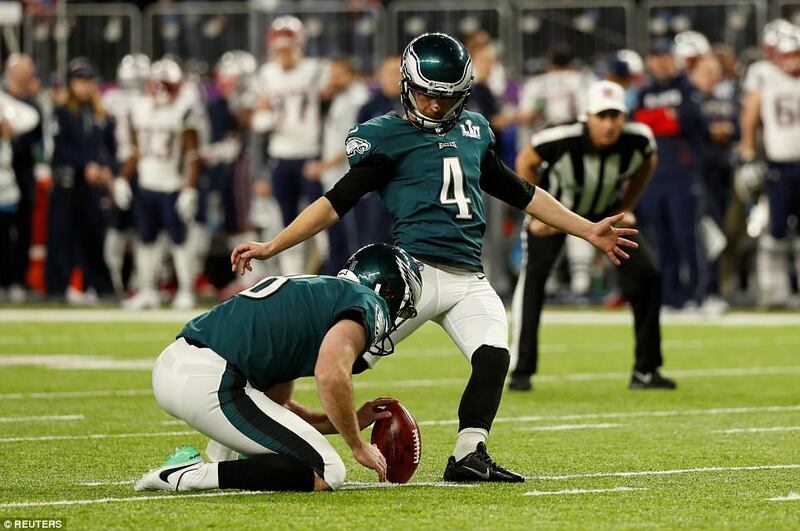 The Philadelphia Eagles edged their first-ever Super Bowl title as they overcame the defending champions the New England Patriots 41-33 in a thrilling match at Minnesota’s US Bank Stadium. 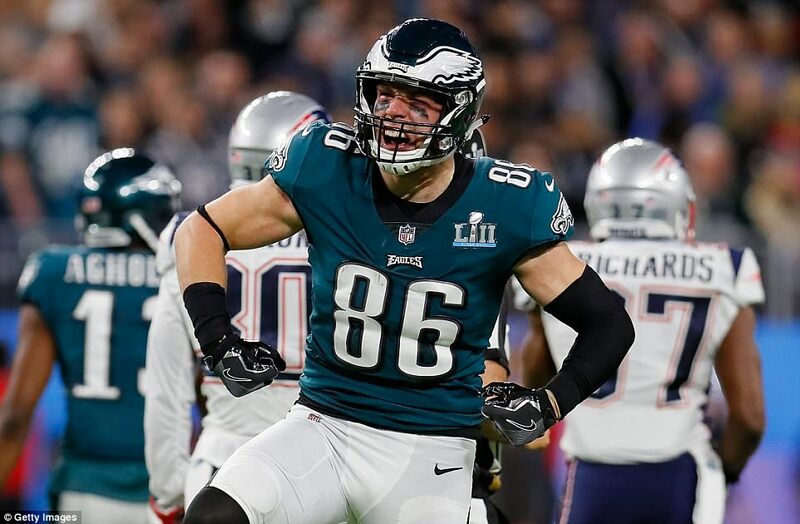 An incredible 1000 yards of total offense was surpassed as both teams traded blow after blow, with the final touchdown coming via a dive by Eagles tight end Zach Ertz. 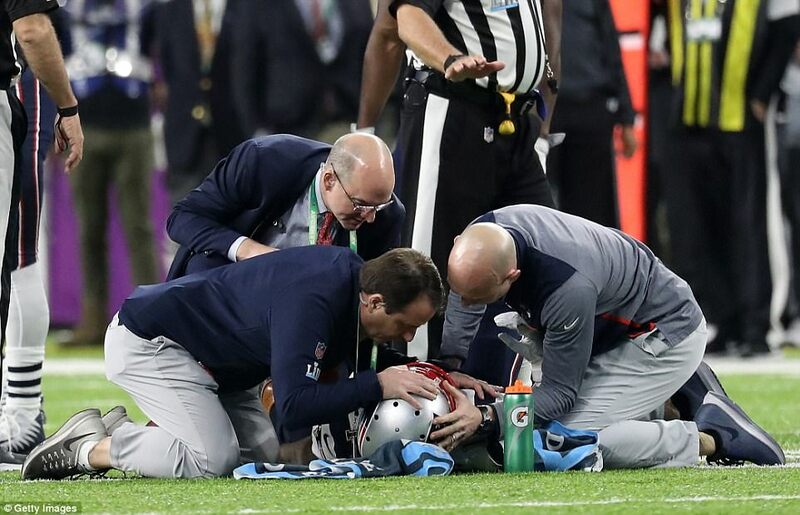 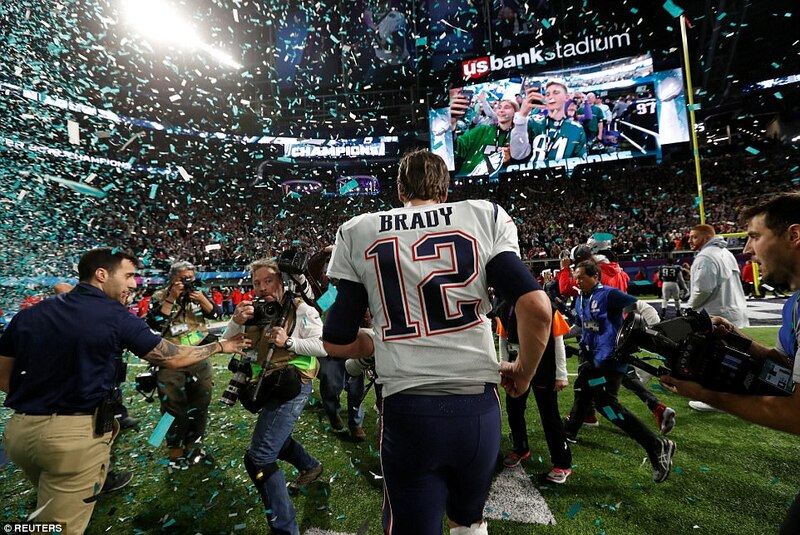 The result means New England quarterback Tom Brady, widely regarded as the greatest in his position of all time, is denied a sixth Super Bowl ring at the age of 40. 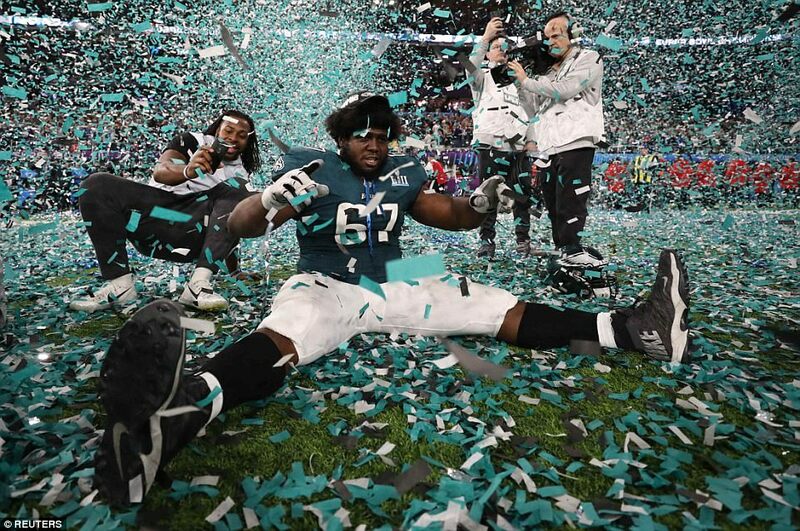 London-born Eagles running back Jay Ajayi meanwhile, wins his first Super Bowl after contributing 57 yards along the ground to aid Philadelphia’s remarkable victory. 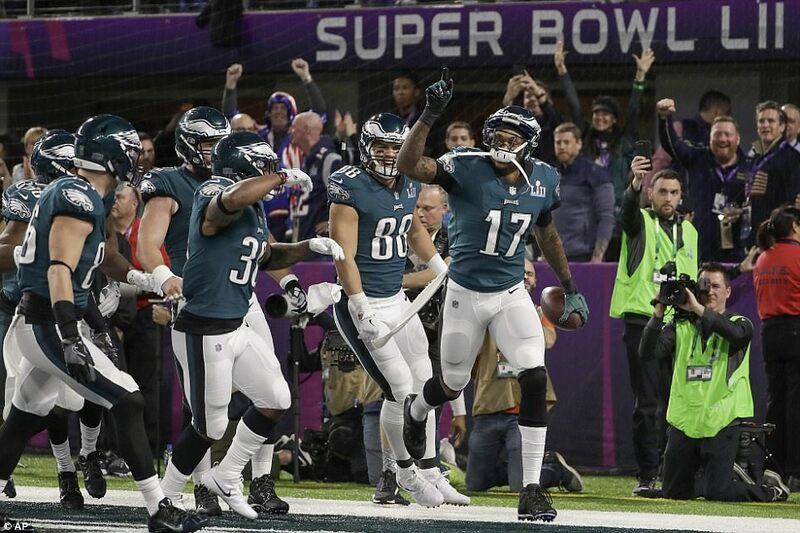 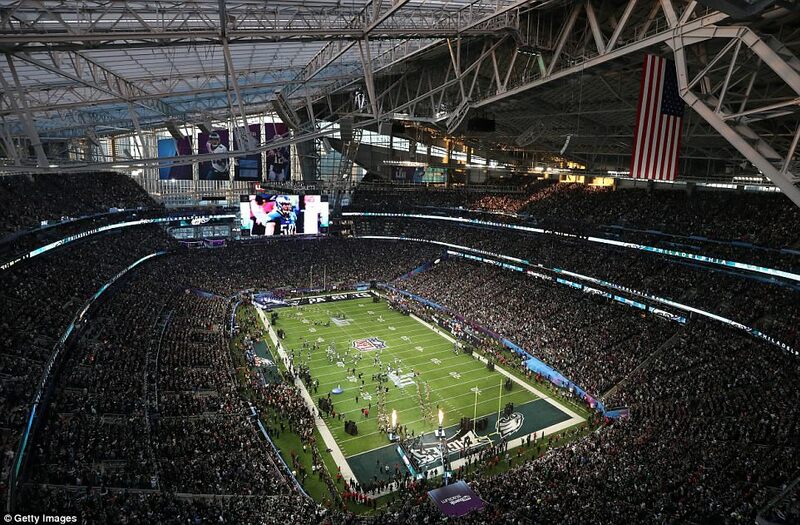 The NFC Champion Eagles were underdogs heading into Sunday night’s game, which was played at the remarkable US Bank Stadium in Minneapolis. 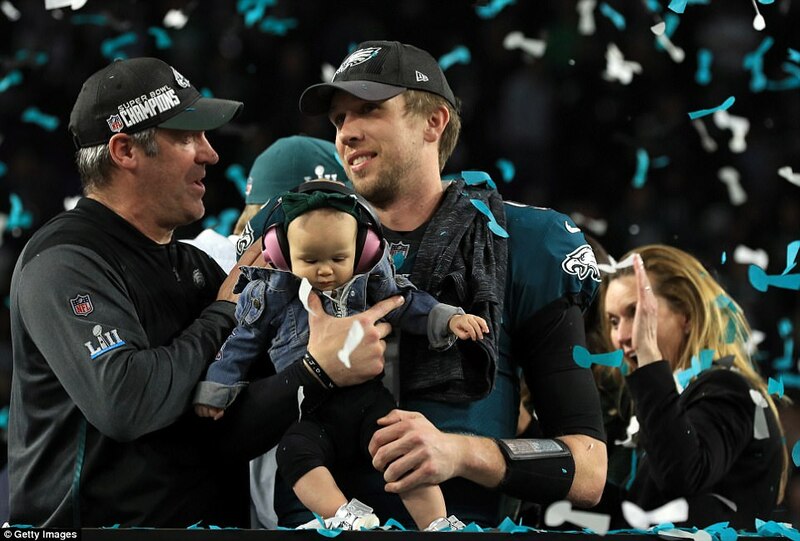 But back-up Philadelphia quarterback Nick Foles, only starting since the injury to Carson Wentz towards the end of the season, threw 373 yards and three scores and even had a receiving touchdown in one of the craziest Super Bowls ever. 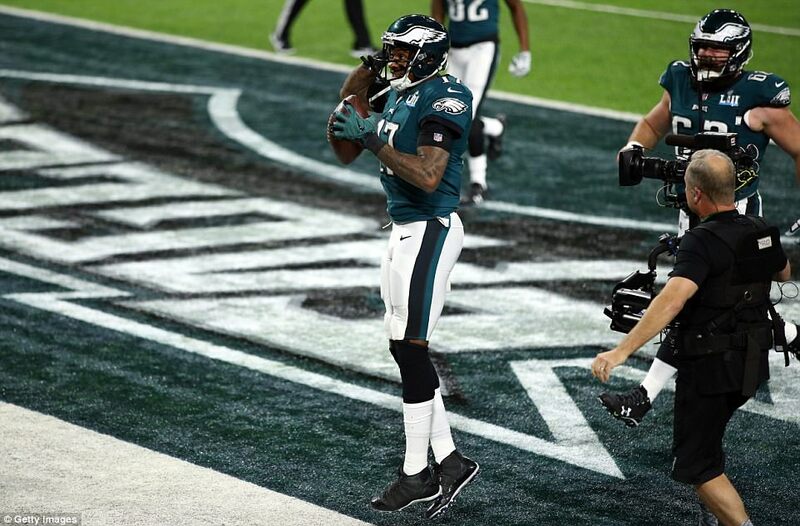 After both teams traded field goals to start, Foles found wide receiver Alshon Jeffery for a 34-yard hook up to score the first touchdown with an impressive grab at the end zone. 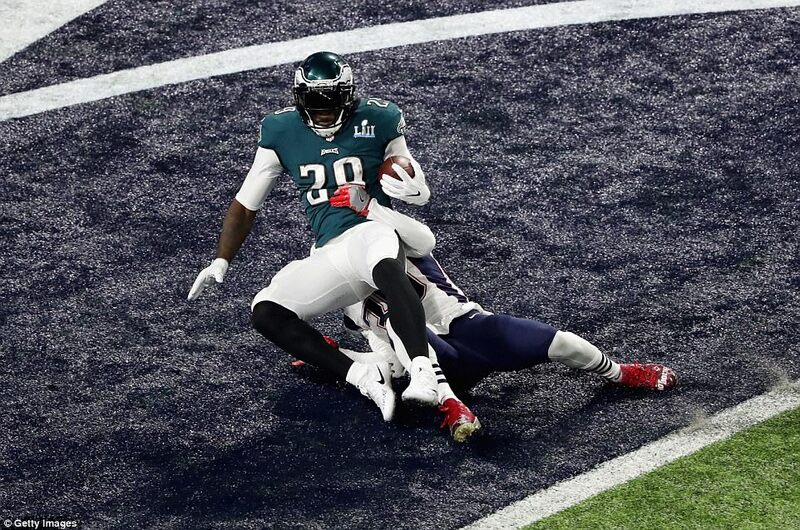 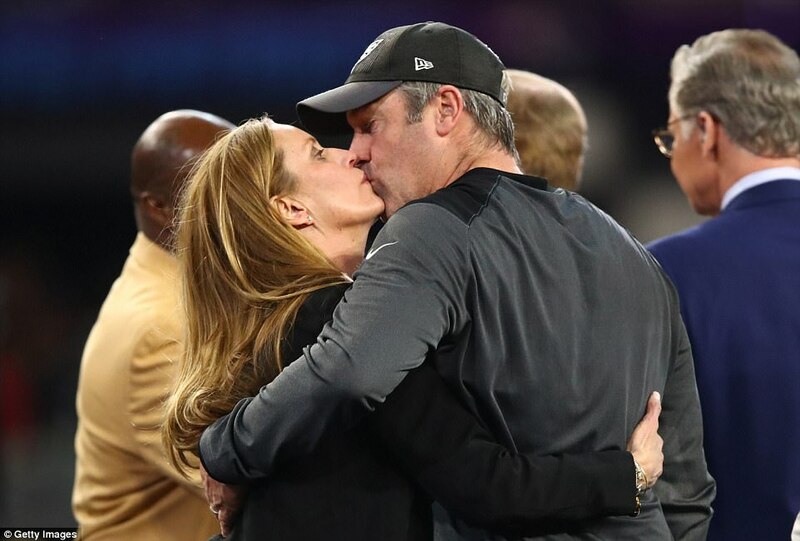 Ex-Patriot LeGarrette Blount’s 21-yard run extended the Eagles’ lead to 15-3 as Doug Pederson’s men took a commanding lead early on in Super Bowl 52. 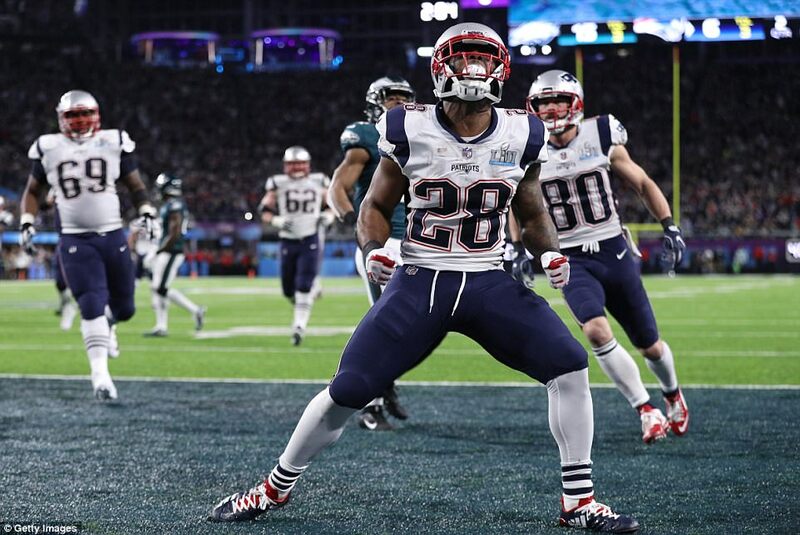 New England responded with a Stephen Gostkowski field goal and James White’s rushing score, which came after Foles threw his only interception, to reduce the deficit. 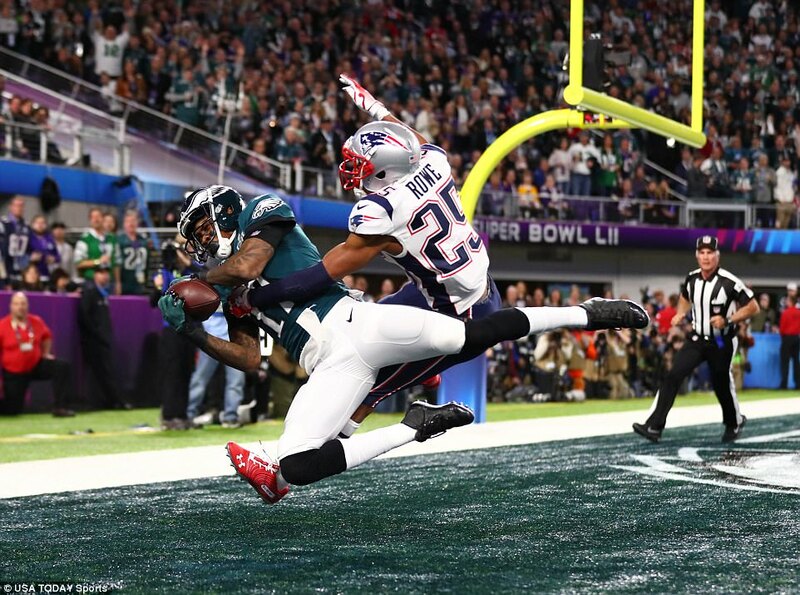 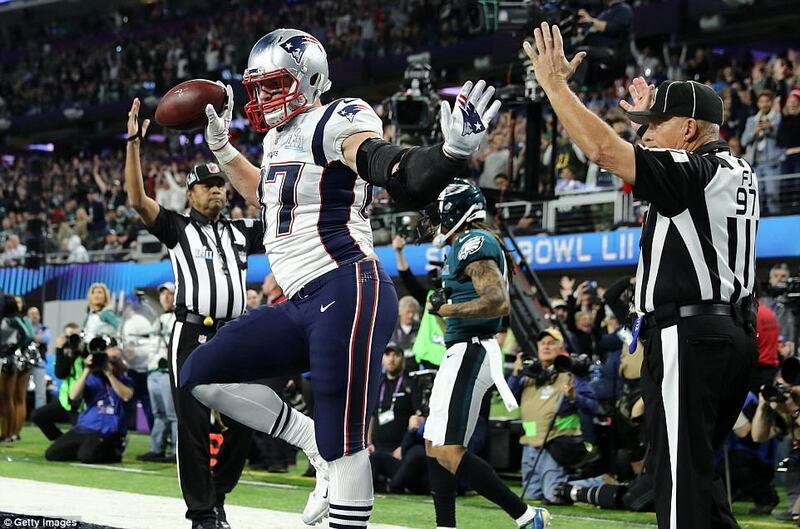 But Philadelphia edged 10 points back in front with one of the most memorable plays in Super Bowl history. 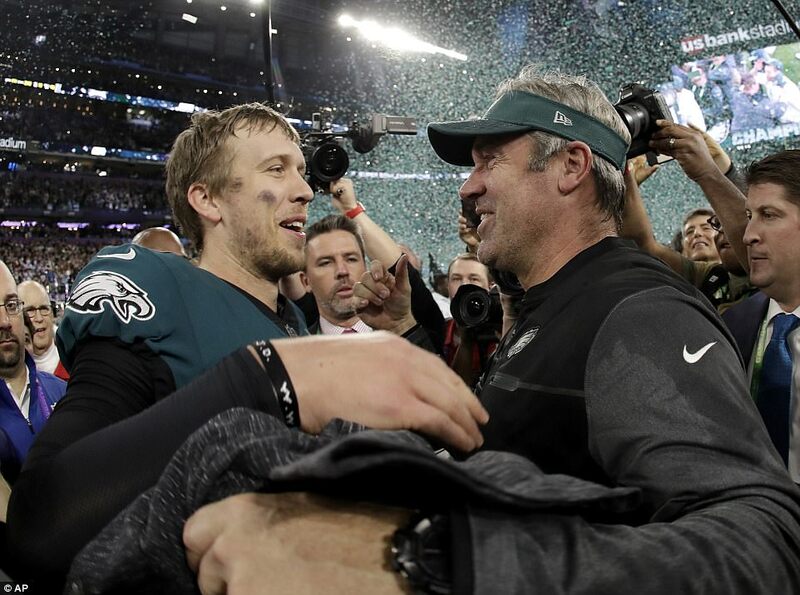 On fourth and goal, Pederson called an incredible trick play. 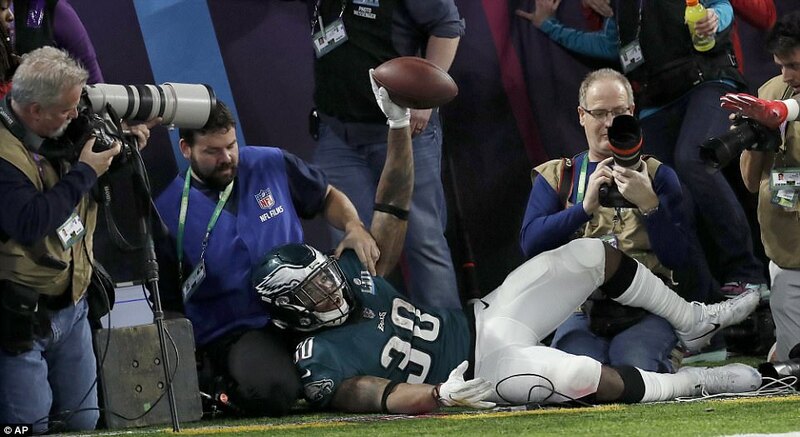 The ball was snapped directly to Corey Clement, who flipped over to Trey Burton, who in turn threw to Foles who had sneaked out to the end zone. 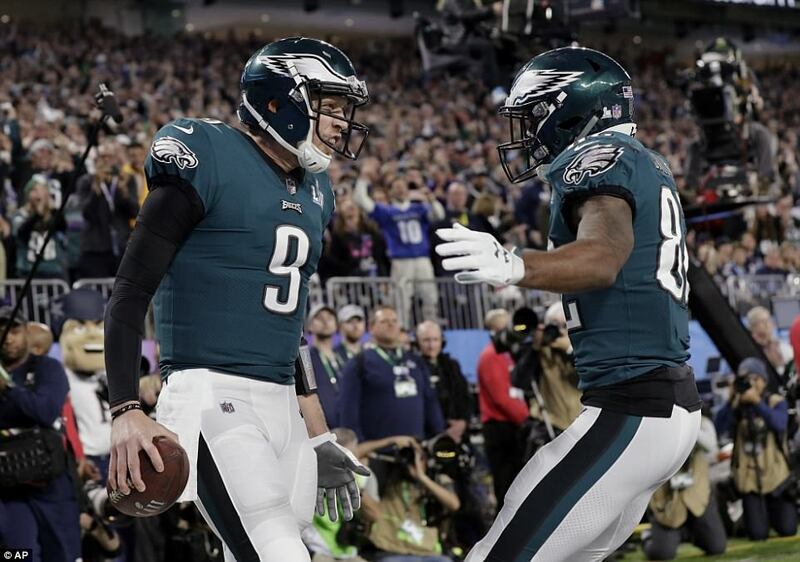 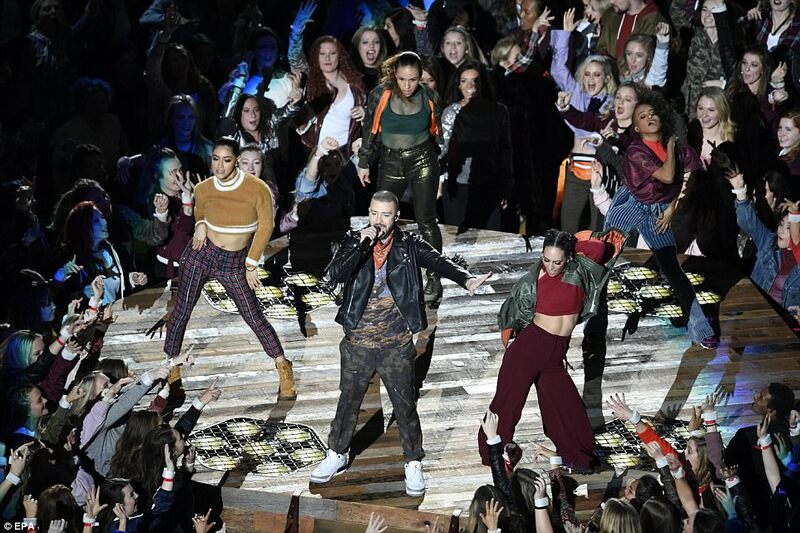 Foles hauled in his first career reception and the Eagles went up 22-12 heading in to the half-time break and a performance from Justin Timberlake. 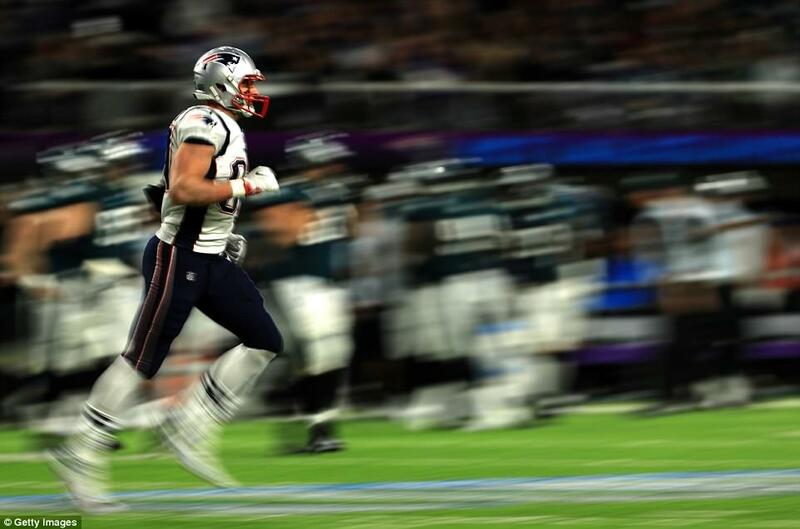 New England had been trailing at half-time of last year’s Super Bowl and would fall 28-3 behind to the Atlanta Falcons then before completing a dramatic comeback in overtime. 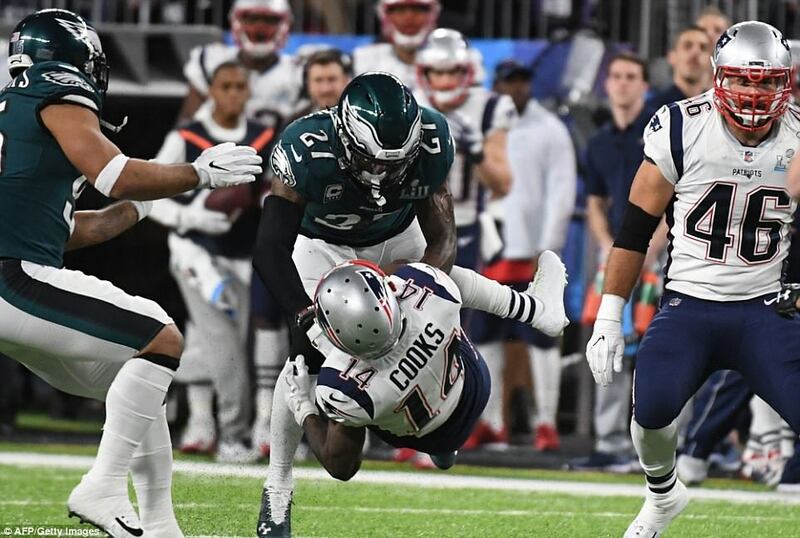 The Eagles fired back midway through the third quarter. 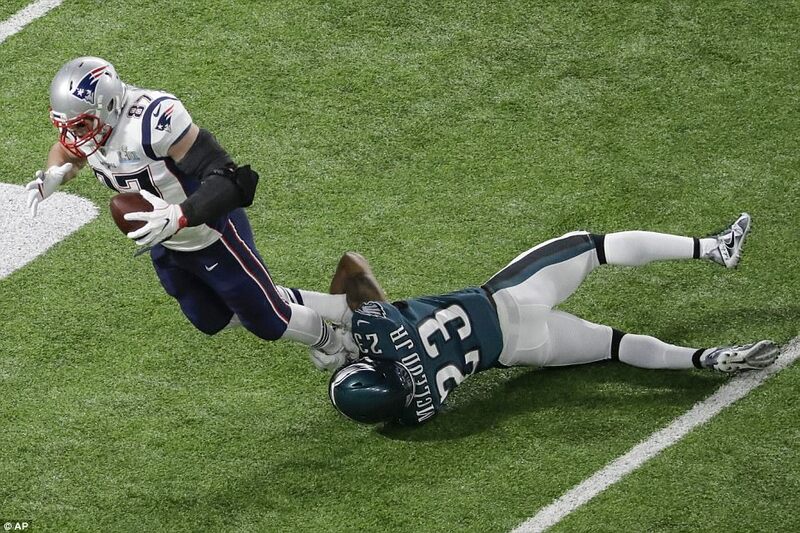 If the Foles touchdown was creative, this Clement grab was controversial. 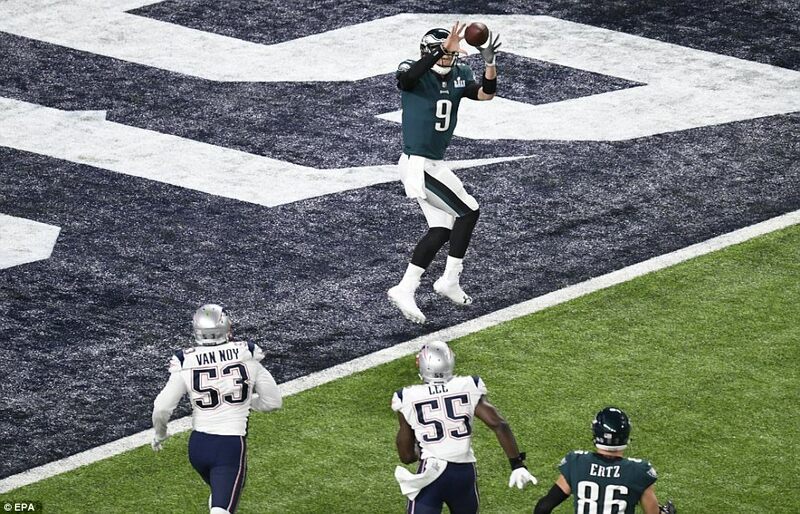 Foles dropped another inch-perfect pass into his receiver’s hands but the ball appeared to come loose before his second foot went out of bounds. 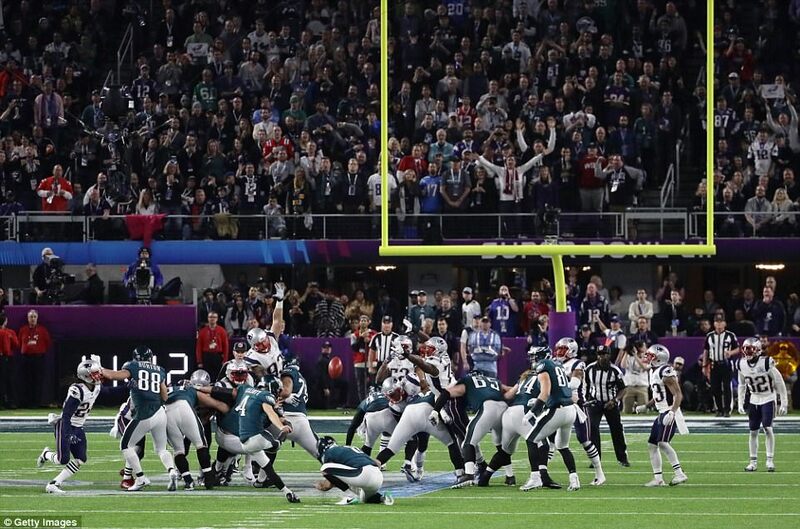 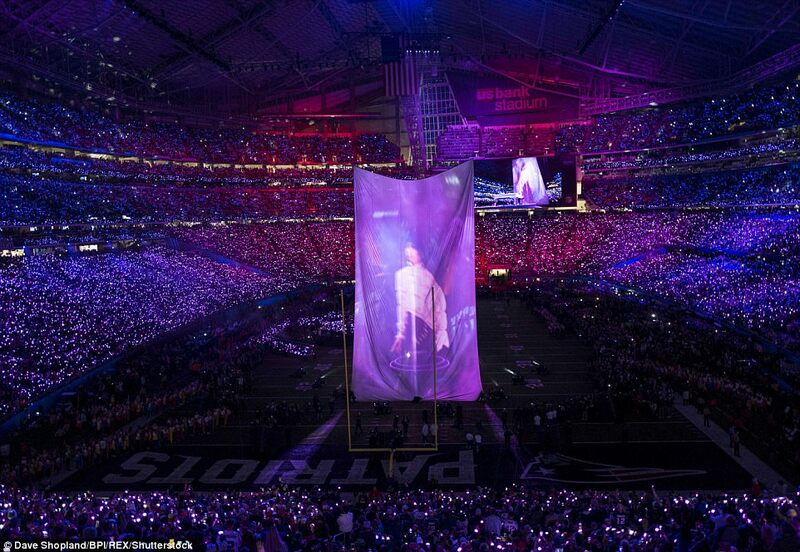 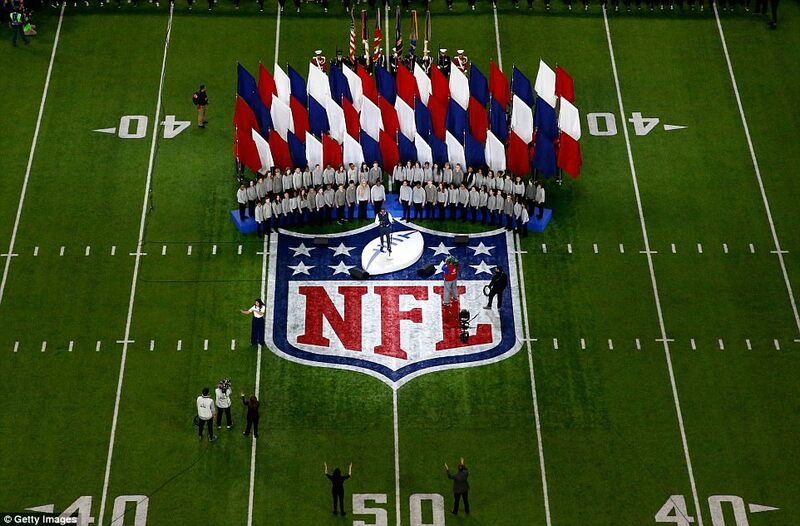 A touchdown was awarded on the field and, after consulting video replays, the score stood. 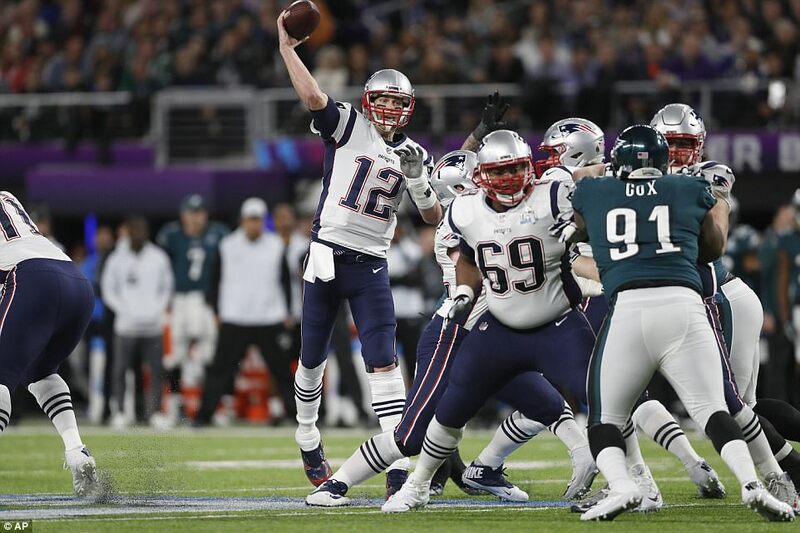 Jake Elliott’s field goal made it 32-26 at the start of the fourth quarter but Brady looked unstoppable, unflappable and untroubled. 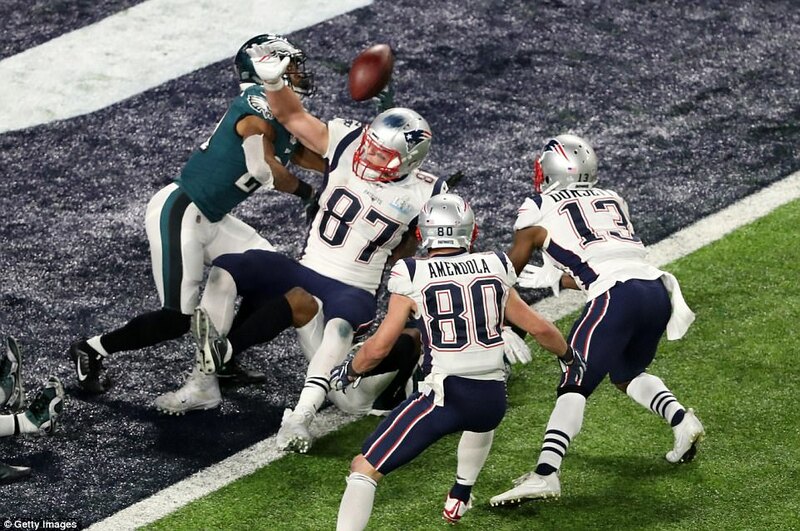 Philly’s failure to slow Brady resulted in them rolling the dice again on fourth down and Foles’ completion to Zach Ertz crucially continued the drive. 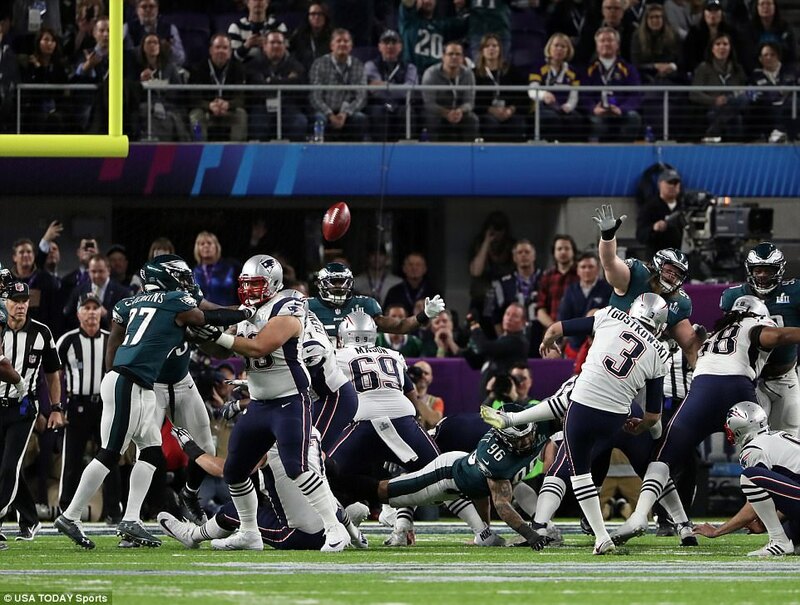 Elliott’s field goal meant New England needed to score eight points with just over a minute remaining and a failed Hail Mary to Gronkowski as time expired earned Philadelphia victory, despite 505 passing yards from Brady.